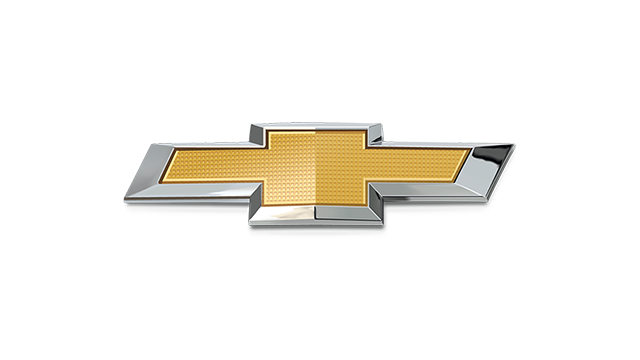 Being the proud owner of an aging Suburban, my personal Calvary/Project War Machine, I have a soft spot for Chevrolet. It’s not that they make the absolute best cars or trucks in the world, nor even the best-looking, but I often find myself drawn to their no-nonsense aura. Well, at least most of the trucks and SUVs. 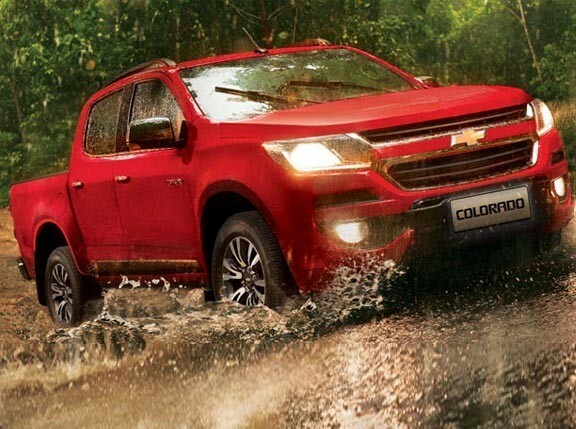 When I first drove the Colorado some years back, I liked the solid engineering DNA, particularly the torquey turbodiesel, the spacious cabin, and the easy drivability of what was destined to be a working man’s tool first and foremost. 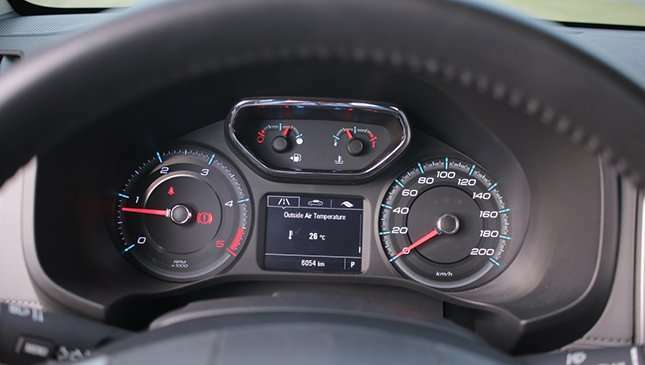 I didn’t like the ridiculously tiny, Camaro-inspired instrument panel, the plasticky cabin, or the racket of the engine. The Colorado made a nice contrast to that other American branded light truck—the Ford Ranger, with its more refined cabin and quieter drivetrain. Now that it’s 2017, the Colorado is at around what should be the midlife for pickup model runs. 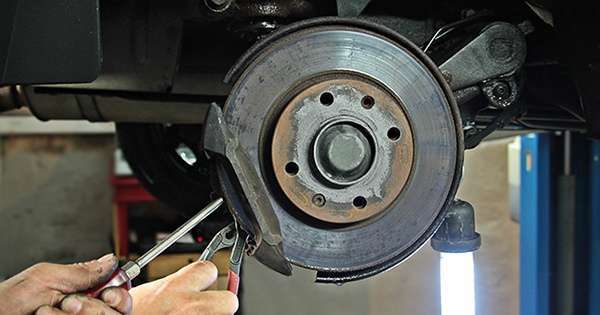 While a complete makeover isn’t due for a few more years, the time is just ripe for a sprinkling of pick-me-ups for this truck to keep things interesting. 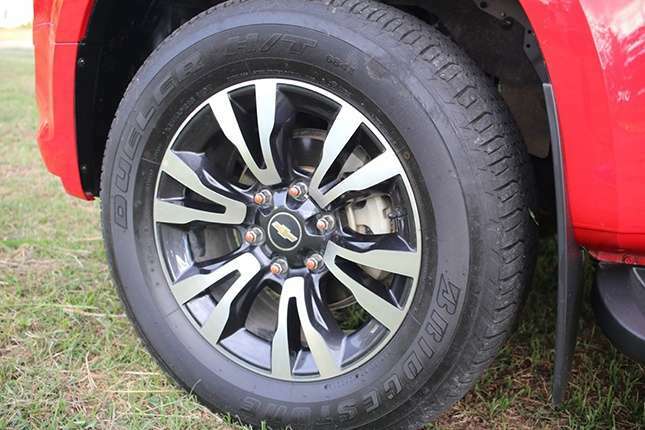 Externally, it’s tough to spot the difference between the new Colorado and a 2012 model. The front fascia has more rounded edges to reduce the chunkiness of before, the side mirrors have the white LED turn signal repeaters currently all the rage, the rear taillamps are now LEDs, the wheel design is different… and that’s about it as far as I can tell. 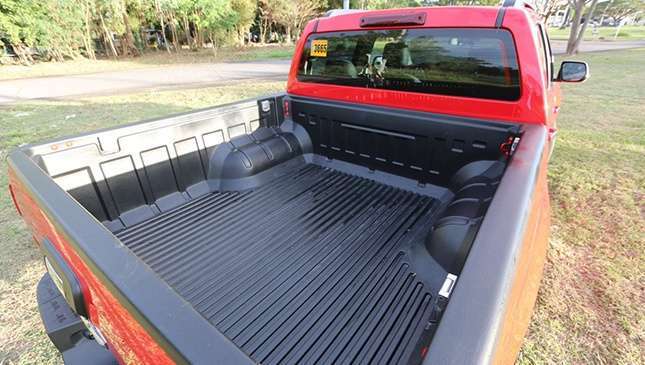 Those who bought a Colorado before this one won’t feel bad, and neither will those who park it beside a Hilux, Ranger, Navara, or D-Max. It’s handsome and timeless, but rather forgettable in a good way. 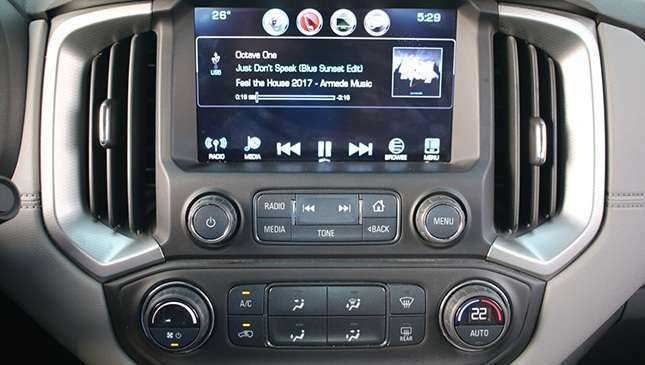 The cabin has a new dashboard with bigger gauges, the center stack has an integrated display for the stereo, phone and GPS, and you have little rocker switches for the lane departure warning system and front/rear parking sensors. The dash material still uses too much of the hard plastic that reminds me of rhino skin, so no points there. It doesn’t have the panache of the Hilux or Navara cockpit, but the ergonomics are good and the look is consistent with its work truck image. As blocky as the dashboard may seem, you have very good sightlines all around as the cowl and window beltline are low. I didn’t need to raise my seat in order to get a feel for where the hood ended. Driving the Colorado is a pleasant, if not exactly an enjoyable experience. 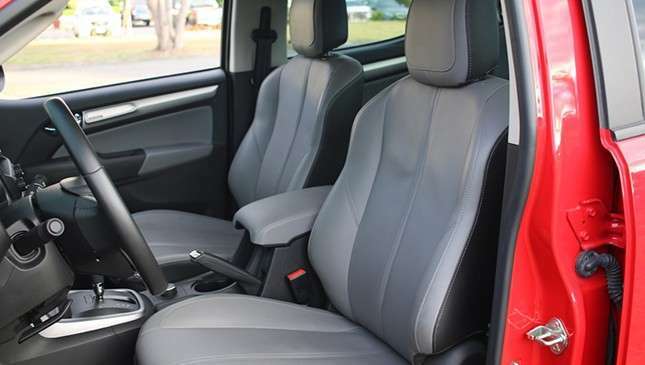 The electric power steering is a little too light at cruising speeds, but at least low-speed maneuvering does not require much upper body strength. Brake feel and modulation are good, and the ride is surprisingly comfortable even when lightly laden. The drivetrain is responsive and has gobs of torque to get you moving without ever needing to rev past 3,000rpm. Floor it though, and the transmission is up to the task with smooth and fast shifts. 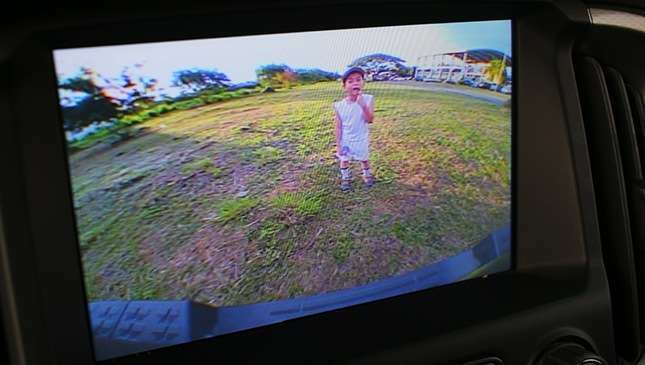 Pity the computer won’t let you do a brake-torque burnout like you could in a Hilux (not that you really need to, but YOLO). And still, that noise. 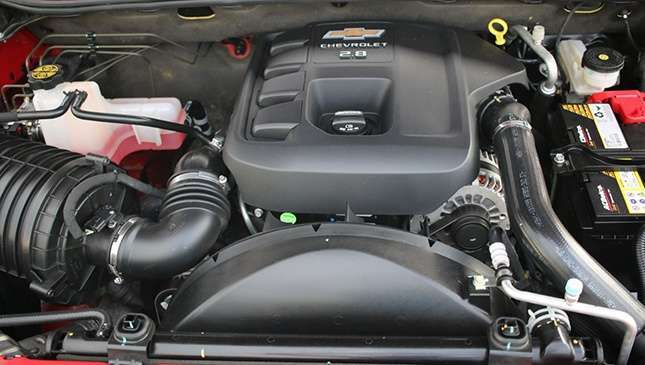 The DuraMax has a solid rep for reliability and grunt, but the engine racket is too industrial to be anything but a necessary evil in what’s otherwise a refined vehicle. 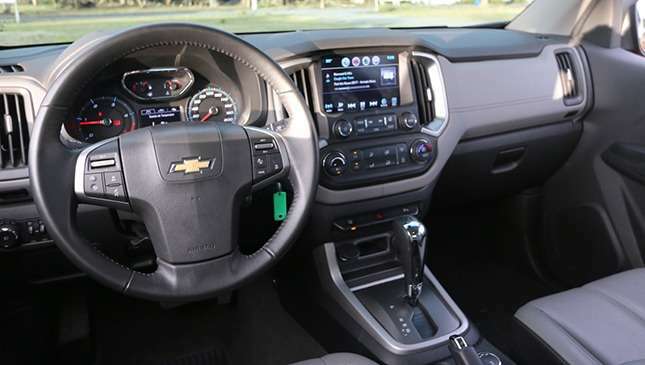 Chevrolet claims improvements in noise reduction thanks to thicker glass and more cabin insulation, but the diesel clatter is still intrusive. 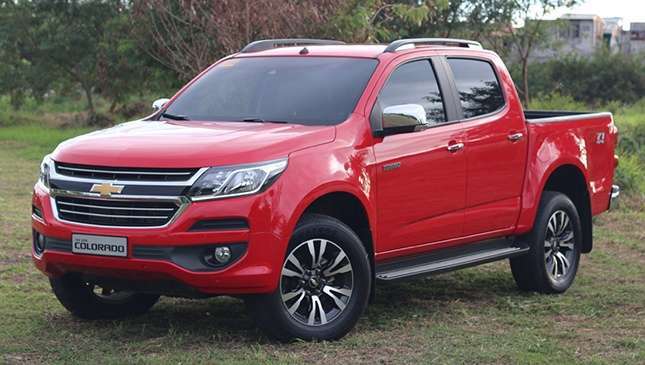 Compared to the turbine-like whir of the Hilux and Ranger mills, the Colorado’s sounds like a passenger jeepney on steroids—you’ll be turning up the stereo volume to compensate. It rather makes up for it with a standard limited slip differential and one of the easiest to operate 4WD systems in the class. Water wading capability is rated at 800mm, and it can also tow up to 3.5 tons. "Come hell or high water," so they say. Or a neat trailer. The 2017 Colorado benefits from driver aids like a nifty lane departure warning system and a rear view camera—a godsend for big vehicles parking in congested lots. 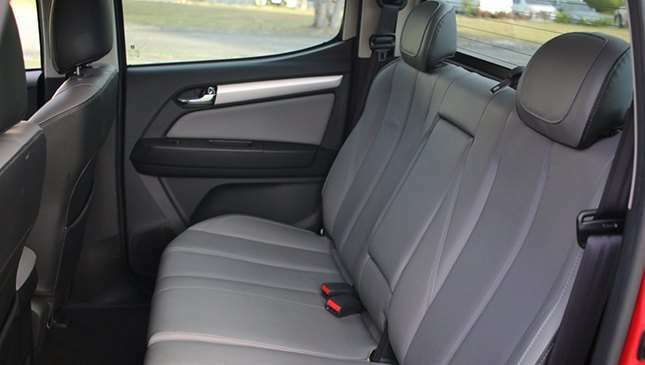 It also has a healthy allotment of cupholders, cubbyholes and auxiliary ports to charge your devices. The bed is long and wide to fit most small business needs. 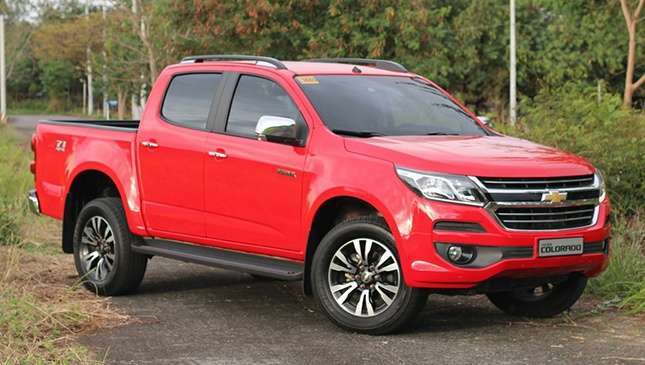 A fully decked out Colorado 4X4 like the one I tested is priced at just a shade under P1.6 million, making it competitive against the other 4WD trucks. It doesn’t stand out in any particular category, but the burly character and painless—if not exactly pleasurable—driving experience should be good enough for buyers looking for a truck for the long haul.